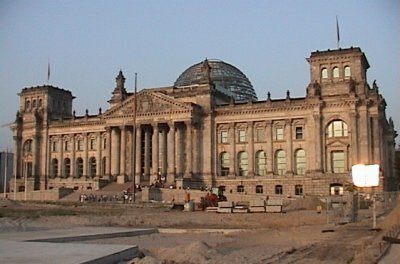 Berlin's Reichstag, home of the new parliament. Bear statues abound because of the popular belief that the name Berlin was derived from bear. The truth is less fun. Berlin probably meant "swamp city."